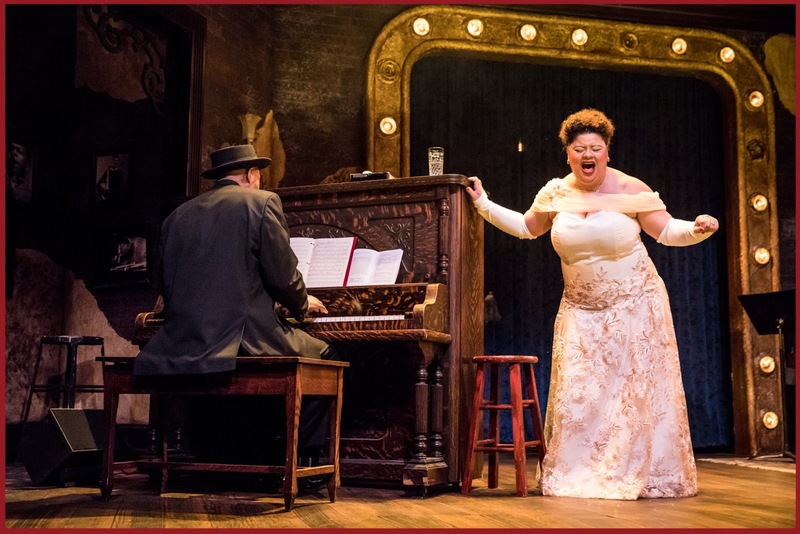 Our bloggers rave about Thomasina Petrus' performance as Billie Holiday in The Jungle Theater's LADY DAY AT EMERSON'S BAR AND GRILL. Check out the reviews below, then get your tickets to see the show before it closes on June 24. "Acclaimed director Marion McClinton directs Thomasina Petrus in this role that she's performed before, and was born to play. It's a perfect marriage of actor to role, with wonderful music and impeccable design that really makes you feel like you're watching the tragic end to this brilliant musician." "She was utter perfection. Petrus voice is so brilliantly formed to sound just like Holiday while still managing to give her own twist as an actress." "Petrus infuses honesty into every second of her performance, never cheapening or sensationalizing the real events of Lady Day's life, and it makes us feel like valuable friends, not cheap gossipers, to participate in her true confessions." "This decline was evident within the show, and was heartbreaking to watch. To hear the beautiful music that Billie Holiday and her band was able to make, and how the ugliness in this world was able to eat away at it."